57% of supply chain professionals believe there is room for improvement in supply chain visibility. 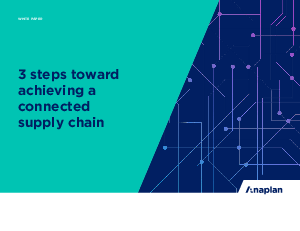 The vision of a tightly integrated and truly connected supply chain can be achieved, but it doesn’t happen overnight. Download the white paper to learn the three steps companies can take to evolve their supply chain maturity.